NAIL OF THE DAY. A CLASSIC RED. | Life Looks Perfect. NAIL OF THE DAY. A CLASSIC RED. Today's Nail of the Day is a classic shade that has made it's way back onto my nails this Autumn. 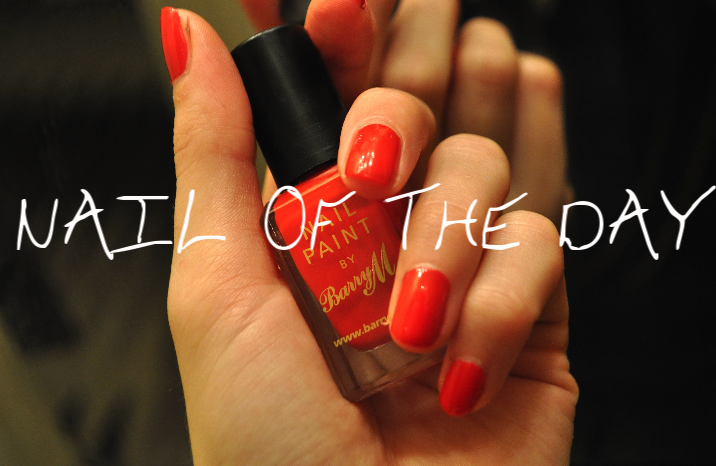 Meet Barry M's Bright Red. Barry. M nail paint is always a winner in the Dunn's household due to its fantastic affordable price and amazing colour innovations. But for this Autumn, we seem to be radiating back to basics. This bright orangey red is great for a night out or a cheeky pop of colour in the day. We love this shade but please remember ladies wear an undercoat when using this shade as it does tend to stain your nails if you don't! What are your favourite nail colours for Autumn?